At Jolly Holiday Vacations, we specialize in planning practically perfect Disney vacations at no extra cost to you! We are passionate about providing you and your family a personalized plan that fits your needs and budget while saving you time and money! Whether it is your family’s first time visiting Walt Disney World or you are interested in learning more about one of the award-winning Disney cruises, our exclusive Disney travel concierge service is here to assist you! Please email us at BookYourJollyHoliday@gmail.com to begin your Disney vacation! The very first time that I visited Walt Disney World was in 1984. Epcot had recently opened and we attended a character meal on the famed Empress Lilly (now the Paddlefish). I will be the first to admit that A LOT has changed since then! Gone are the days of casually showing up to the parks and being 100% footloose and fancy-free. Nowadays, there is so much important pre-planning that goes into creating a magical, efficient, and stress-free Walt Disney World Vacation. I understand that the process can be very overwhelming on your own! That is where Jolly Holiday Vacations comes in! I love finding you the ideal resort for your budget and needs, searching out the very best dining reservations, and timing them perfectly with your fast passes – on the very best park touring days, of course! I am a self-proclaimed foodie and make a point to try new restaurants on each trip and find enjoyment in reading Disney dining reviews. I truly feel as though the dining experiences are as valuable to your overall park experience as the rides themselves. I have three daughters and know first-hand what it is like to travel with little ones. Lastly, I take pride in treating your vacation as if were my very own. Resorts – Contemporary – I love that it is in walking distance to the Magic Kingdom! Plus, I am obsessed with Mary Blair’s art work! , Polynesian – great view of the Magic Kingdom fireworks from the pool! Recently stayed at Port Orleans – Riverside! Love. Love. Love. Eats – Cinderella’s Royal Table & Crystal Palace – try and get the first breakfast reservation to walk down Main Street before the park opens, Tusker House – excellent character meal, amazing bloody marys, and top-notch customer service, California Grill – the ultimate treat, indulge in sushi & champange, I like to time my reservation with sunset and stay for the spectacular view of the fireworks, Beaches & Cream – our first night tradition, must try the No Way Jose Sundae or the famous Kitchen Sink!, & ‘Ohana – so much delicious food and drink, lively atmosphere, you must try the festive Lapu Lapu! Treats – Dole Whip & Mickey Bar – iconic Disney! Experiences – Festival of the Lion King, Hoop-Dee-Doo Musical Revue, and Mickey’s Not So Scary Halloween Party, Exploring the boardwalk area at night! My first visit to Walt Disney World was in 1986, when the only two resorts onsite were The Contemporary and The Polynesian. I remember thinking how big everything was and how in the world this whole thing “all started with a mouse.” As the monorail made the final turn towards Magic Kingdom and I caught my first glimpse of Cinderella’s castle it amazed me, my mouth dropped and I know I didn’t breathe for at least a second or two. It was a feeling I will never forget. Now I am married and have my own children and I remember the first time they made their final turn on the monorail, it was like watching myself as a child again. I knew at that moment that If I could help others experience that same feeling when visiting Disney, it would be so magical for everyone! Traveling to Walt Disney World has become such grand experience for every trip, even the ones that aren’t the “first ones!” There are magic bands, apps, fast passes, quick service, sit downs and several other terms that can overwhelm even a seasoned Disney traveler when planning their vacation. This is where Jolly Holiday comes into play… we take all the stress out of planning and help you experience all Disney has to offer in the easiest and most efficient way possible. One of my most favorite things to do is to find a new activity that Disney offers outside the theme parks. Of course the majority of our time is spent in the parks, but many people don’t realize that you can play miniature golf, take surfing lessons, bowl and even take in dinner and a movie at Disney Springs! Disney has it all! At Jolly Holiday, the personal service you will receive will truly make your vacation magical, because we believe that each vacation is special and you are all family! Resorts – The Wilderness Lodge – I love the architecture and décor of the lodge and Art of Animation – the Nemo suites and Big Blue Pool are a favorite of my girls! Eats – Ohana- their breakfast is topnotch and who doesn’t enjoy Mickey shaped waffles. California Grill – wonderful menu, ambience and my favorite place to watch “Wishes”, Le Cellier Steakhouse, Canada in Epcot’s World Showcase – the chicken Cassoulet and Filet mignon are unbelievable and melt in your mouth. Of course you can’t leave Epcot with stopping by Norway’s Kringla Bakeri Og Kafe, their sweet pretzels and troll horns are always favorites to our family’s sweet teeth! Lastly Cinderella’s Castle… just sitting in the Castle that was imagined by Walt Disney himself is enough for me, although the cuisine is wonderful and seeing the princesses is a treat! Treats – Dole Whip and Dole Whip Floats!!!! These are a must for me every trip! At five years old, my parents took me on my first trip to Walt Disney World and my love for Disney has never wavered! As a family, we have always loved going to Walt Disney World and the magic of the parks never fades. Now that I have two boys of my own, seeing Disney through their eyes is an experience like no other. Disney World truly is a magical place, and has something to offer everyone. Disney World is always evolving and I love to help families navigate their way through planning a vacation where everyone can enjoy themselves and get the most from their park experiences. I once read that it would take you over a year to do everything Disney has to offer and 68 years to stay in every room they have! The options are endless, and having someone to help you plan what is right for you is essential to everyone enjoying themselves and not feeling overwhelmed. I love Disney and I want YOU to love Disney too! Resorts – The cabins at Fort Wilderness – Our family loves the full size kitchen and grill on the private porch as well as the ability to rent a golf cart for cruising around the resort property. My family also enjoys Bay Lake Tower at Disney’s Contemporary Resort and Wilderness Lodge. Eats – Biergarten – so fun for the whole family! Tony’s Town Square. Crystal Palace- dine with the Hundred Acre Wood characters in this beautiful setting, Nine Dragons, Restaurantosoarus- try the black bean burger and enjoy the bucket and pail with kids meal over in Animal Kingdom, Tomorrowland Terrace- this is a great quick service restaurant in Magic Kingdom with wonderful photo opportunities of the castle and parade viewing! 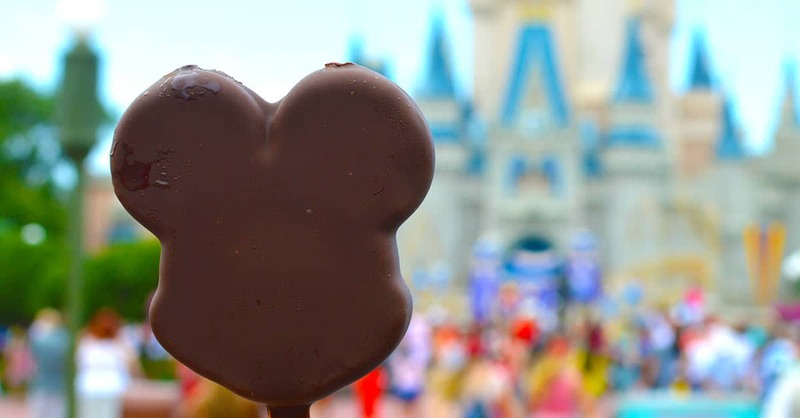 Treats – Popcorn, Mickey Mouse Ice Cream Sandwich, if your feeling daring go for the smoked turkey leg in Magic Kingdom’s Frontierland. Experiences – Illuminations, Electrical Water Parade – check to see if you can view this from your hotel, if not hop over to the beach at the Polynesian for viewing, Rose and Crown Pub – make sure to get your photo in the London style telephone booth! My first trip to Walt Disney World happened when I was three. My parents allowed my two older brothers and me to each pick out one souvenir to bring home. My middle brother picked out a 3-foot tall Mickey Mouse that was bigger than me at the time. On the train ride home, I had to sit in Mickey’s lap because the train was so packed. Fast forward 25 years, I went with my husband’s family and we stayed off-site. It was magical but my husband and I could see there was so much more to see and do. We were dying to stay on-site. I started researching, we made our return plans, and have been hooked ever since!!! I enjoy planning our trips as much as I enjoy actually going. I’d love to help you plan the perfect vacation for your family! Resorts – Polynesian – I love the restaurants, pools and atmosphere so much I named my dog Poly! Rides – Soarin’, Space Mountain, It’s a Small World, Toy Story Mania! Eats – ‘Ohana (breakfast and dinner), Tusker House (breakfast), Crystal Palace, 1900 Park Fare and Hollywood and Vine. We thoroughly enjoy character meals because it not only gives my family time to rest but you also get quality time with characters. We also like snacking around the world at EPCOT! My first Disney magic happened over 30 years ago when I first walked down Main Street USA. I remember the trolley, the sights and sounds and especially the Castle! I enjoyed several trips through the years with my family and it has never lost it’s magic. My husband grew to share my love of all things Disney and we now enjoy making memories with our three children! We have even taken adult-only trips and enjoyed the more mature side Disney has to offer! No matter who you are traveling with, from small children to grandparents to grown ups I can’t wait to help you plan a vacation where you can feel young at heart and make your own magical memories! Experiences – Hoop-Dee-Doo, Fantasmic, Festival of the Lion King, Riding the Trolley down Main Street with Dapper Dans! Leaving Columbia, SC last July and relocating to Parkland, FL for my husband’s job has really allowed us to explore Disney in a different way. Being in such close proximity to Disney World has allowed us to try out different resorts, restaurants and experiences like Mickey’s Not So Scary Halloween Party and Mickey’s Very Merry Christmas Party. Disney provides the perfect setting to create magical memories with your family. I take such joy in planning our Disney vacations. Whether it is helping you decide which character meal to reserve or the best spot to watch the fireworks, I look forward to helping you plan your perfect Disney Vacation! Resorts – Polynesian Resort – The restaurants are great, it has so many fun activities for your children and an amazing view of the Magic Kingdom Fireworks! We also love staying at the Boardwalk Inn. The theme is turn of the century Atlantic City and its so pretty at night. They have a cute little bakery to grab breakfast on the go and the best part is you can walk to Epcot! Eats – Donald’s Dining Safari at Tusker House for a fun character experience and an amazing breakfast. We also love having dinner at La Hacienda de San Angel in Epcot, which when timed right has a great view of fireworks and an amazing Avocado Margarita! To indulge our sweet tooth we love making a trip to Beaches and Cream for an over the top dessert, the famous Kitchen Sink! Treats – Dole Whip, Mickey Mouse Ice Cream Bars and an endless amount of popcorn! Experiences – Mickey’s Not So Scary Halloween Party-Such a fun night of trick-or -treating and meeting surprise Disney Characters—some dressed in their own special halloween costumes! We also love the Once Upon a Christmastime Parade and Festival of the Lion King. Perhaps the only thing more magical than a vacation is having someone do all of the planning for you! Welcome to Jolly Holiday Vacations. My name is Gina Rodriguez, and my family and I love to travel to create priceless memories. Without a doubt, our favorite place to play is Walt Disney World in Florida. My family, comprised of my husband, four boys (16, 10, 8, and 3), and my father-in-law love to celebrate summer at the most magical place on earth! No matter how many times you visit, the adventure is sure to be new and enchanting. Our love for Disney runs deep and is true. Disneyland, the place that started it all, is not to be forgotten. California Adventure opens to the door to many new lands! If the beach is more your speed, Disney’s Hilton Head Island, Vero Beach, and Aulani resorts offer carefree, yet magical, escapes. When I was five years old, my parents took my siblings and I on our first Walt Disney World vacation. I remember dancing on the streets with the Button Dancers (from Mary Poppins), watching the Main Street Electrical Parade, and of course, riding a ton of rides. We were fortunate to travel to WDW several times throughout my childhood, and those trips remain some of my favorite memories. As an adult with children of my own, I have visited WDW regularly over the last few years- both with my family and on adult-only girls trips (Southern Living magazine regularly ranks Disney World as one of the best destinations for trips with your girlfriends)! Much has changed in planning Disney Vacations from the years of my childhood, and I am happy to help clients navigate all there is to see and do. I truly enjoy planning others’ trips as much as I do my own. The very first trip that I remember taking to Disney was in 1979. My grandparents took the entire family and we stayed at the Polynesian. I was less five but I still remember my mom pointing out the dolls in the different worlds of “It’s a Small World”, eating the Mickey Mouse ice cream, riding the race cars on the speedway, and playing with my cousins. Now that I am married with four kids ranging from 16 to 6, I love that Disney World is a place we all can play together, create similar memories, and I never hear that they are bored! We have been Annual Passholders for the past four years. I have adored learning the “secret” things to do that make the most magical memories for our family. We have a big family! I have learned how to stay on-property (with six people!) on a budget. We have taken splurge trips too! I understand how to enjoy Disney both ways. Disney is a place we will never see all of in one trip! It is so fun to keep going back to enjoy the new experiences but also making time to relax! Some of my favorite experiences are the RunDisney Races. So far, I have run three Disney Princesses and one Wine and Dine Two Course Challenge. I’m so excited to be running two more Half Marathons this year! I can definitely help you plan a trip to run and recover while enjoying the parks and the dining during your race weekend. Resorts – We have loved staying at the Ft. Wilderness Cabins with our large family. We love the campus and the space with a kitchen that the cabins provide. I have loved the convenience and awe of staying at the Contemporary and the Wilderness Lodge as well. Coronado Springs has been fun with an amazing pool. The Pop Century Resort was great to meet budget needs while enjoying a mother-daughter weekend at Magic Kingdom. Rides – Expedition Everest, It’s a Small World, Splash Mountain, Rock-n- Roller Coaster, and Test Track. Eats – Cinderella’s Royal Table, Yak and Yeti, Be Our Guest, Hollywood and Vine. All have amazing food with amazing experiences. Treats – Cinnamon Bun at Gaston’s Tavern (so gooood), Funnel Cakes, and Dole Whips. Yum! My kids love getting a Churro and the Mickey Mouse-shaped ice creams. Experiences – the RunDisney Races!!! I grew up going to Disney World. My dad had a conference every year at Disney and we were fortunate enough to make it a family trip each year. I was 3 years old when I went to Disney for the first time. The monorail going through the Contemporary Hotel was the coolest thing I had ever seen. Back then, we usually stayed off property so we considered the Tram our first “ride.” We had a family game of who could remember where we parked (Goofy, Minnie, Pluto?). My siblings and I treasure all the Disney memories we have together. I have passed the love of Disney to my children. It is pure happiness when one of my children has a new experience at Disney such as riding a ride they are now tall enough to ride, training to be a Jedi or meeting a special character. My family loves downloading the ride photos from Memory Maker to see each other’s expressions. We have so many wonderful Disney memories from many visits and each visit is different and special. I am that person that talks about Disney all the time and loves all the planning that goes into a great Disney vacation. I like mapping out fastpass selections with dining selections and which parks have extra magic hours or a special ticketed event. I would love to help you plan your vacation and make special memories for your family. Treats: Mickey Bar, Mickey Pretzel, the Cheshire Cat Tail and hot coffee at the Chesire Café in the morning and of course, the refillable popcorn buckets. Experiences: Jedi Training School, looking for Hidden Mickey’s throughout the park, the March of the First Order, expanding our Pressed Penny collection and Happily Ever After fireworks. My first experience with Disney was at Disneyland when I was so small I can’t even remember it! At the time we lived outside Los Angeles and went with our cousins. Our neighbor was an animator at Disney Studios and frequently indulged us with hand-drawn stories as well. After moving back to the east coast, we eventually took our first trip to Walt Disney World in January 1990. At only 9 years-old it was an awesome experience. Getting to finally see that castle and be immersed in full Disneyana was a dream. We only went once more, that time as a teenager, and then it took me years to convince my husband that WDW wasn’t just a place for kids. Once I did, he was as smitten as me. We have had some wonderful trips with just the two of us. Now that we have children of our own, we simply can’t get enough of seeing the joy on their faces when we spend time there. As much as I enjoy the parks, I have always enjoyed the process of planning those trips as well. I look forward to serving all my clients in planning those special memories too! Resorts: Contemporary – there’s just something about being able to walk to Magic Kingdom, and our children adore the monorail coming through the building. Experiences: Magic Kingdom fireworks; Pirates and Pals Fireworks Cruise; Bibbidi Bobbidi Boutique; Pirates League; and Mickey’s Not So Scary Halloween Party. We love coordinating family costumes for the party!